Grzegorz Brzozowski is a Ph.D. Candidate at the Institute of Sociology, University of Warsaw. He is affiliated as Pre-Doctoral Fellow at Yale Center for Cultural Sociology, where he was a visiting researcher in 2013. 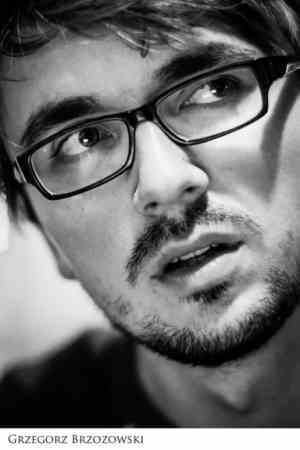 He also works as a freelance documentary director, having graduated from Andrzej Wajda Master School of Film Directing. His research interests include neo-Durkheimian sociology of religion, performatics, festive public sphere and visual anthropology. – (2014): “Clashing temporalities of public mourning: Warsaw after the Death of Pope John Paul II.” in TDR/The Drama Review Fall 2014, Vol. 58, No. 3 (T223): 84–96. – (2013): “Spatiality and the Performance of Belief: The Public Square and the Collective Mourning for John Paul II” in Journal of Contemporary Religion, Volume 28, Issue 2, 2013.